This is an adoption where the adoptive family and birth mother remain confidential. They do not meet or speak with each other before or after the birth of the child. 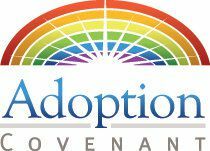 There are varying degrees of open adoption, but it basically means that the adoptive family and birth parents speak before and sometimes after the child is born. They can meet face-to-face or even talk over the phone. Depending on the desires of the parties, this could even include visits by the birth family as the child grows. In semi-open adoptions, the birth family and adoptive family have some basic information about one another. They might know each other’s first names and state of residence; however, they won’t have full disclosure of addresses, etc. They may speak to each other but there is still confidentiality of personal information. The birth family can receive updates of the child but pictures and letters are first sent to Adoption Covenant and we will repackage them and send them to the birth family. The parties do not have each other’s contact information. You can learn more about directed adoptions here. Basically, this is when the birth mother finds her own adoptive family for her baby. Once the birth mother and adoptive family find each other, the agency can take care of all of the terminations and the finalization of the adoption.